There is nothing connecting the things mentioned in this post, other than they appeared in my life this week and I want to marry them all. A slightly out of left field musical obsession for me, the Danish String Quartet are three Danes and a Norwegian, “your friendly neighborhood string quartet with above average amounts of beard”. Their Wood Works album has been on constant rotation for me for the past few days. One review says “Every now and then a disc creeps into your ears and stages a peaceful protest, politely but determinedly refusing to leave” – the reviewer couldn’t be more accurate. The first song I heard of theirs was Waltz after Lasse in Lyby (thanks, Google Sound Search! ), however the song that has made me regret all of my musical choices for my wedding is the Sønderho Bridal Trilogy – part II, a Danish folk song which makes my soul soar. This book is making me miss Copenhagen like nothing else, even though it’s set in Jutland. It’s also making me desperately wish we’d had the chance to live there. Working for Lego, of course. One day. I bought my first Kate Spade bag. 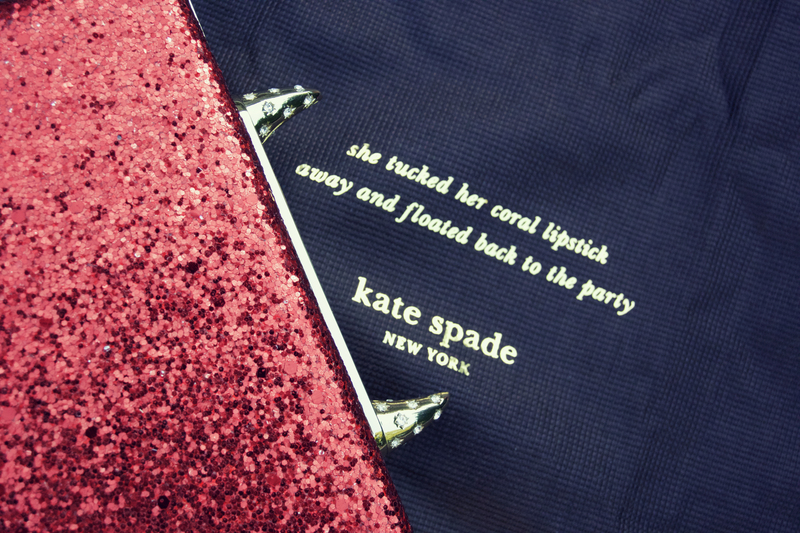 I imagine I’ll only use it once in my life and never again, but I don’t care – it’s red, glittery, and has HORNS. My fourth tattoo (fifth time being tattooed) was done at the Black Rabbit Tattoo Collective in Newbury. I had an idea to get a tattoo of the deer I met last year at Fleet Pond, and fell in love with Jessi James’ geometric designs soon after. Jessi designed such a beautiful piece for me! I love the pattern work in combination with the watercolour style – it’s more perfect than I thought it could be. Deer have been a repeating theme in my life. They’re are the symbol for my home town and my current town, and the ‘mascot’ for my Uni workplace. They were always part of our family stories when I was a kid, as my Dad worked in a forest (basically) surrounded by deer. He, my brother, and I would see them wandering around site, but my poor Mum always missed them. She thought we were making it up to annoy her. 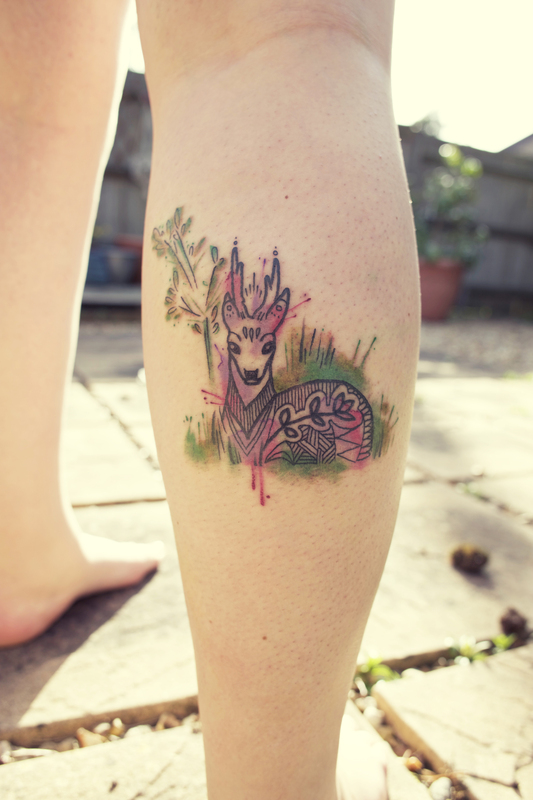 Essentially, I love deer, so I slapped one on my leg. Apologies to Tim for yet another picture of my pale legs.